Has some reasonable beers on, Adnams, Punk IPA etc.. Wouldn`t call it a real student pub though...they`re all in the S`oak. smattering of youngsters but mainly old blokes and shifty types. Staff too laid back and regular friendly..no good for a stranger in town! Has a Spring Ale festival at the moment until 5 May. Otherwise for those going in during the morning, coffee and a bacon butty for �1.79. Formerly the Old Varsity Tavern, tiling outside says Holt's Bournbrook. 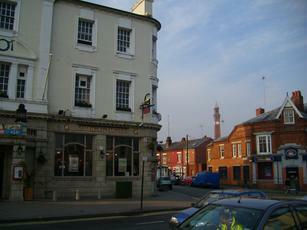 One of 2 pubs in Selly Oak on the Bristol Road that has real ale on tap, the Goose is also one of the cheapest. Why? Because the ale is mostly pretty bad. I've heard they don't clean the pipes out properly, which would explain it. However, it is VERY cheap. The music's never too loud and the food isn't bad. The toilets are horrendous though. 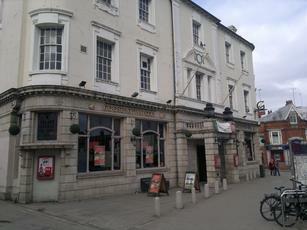 Avoid the beer on tap (or just hold your nose when you drink it) and it's a good, cheap pub. Otherwise, you're better off going elsewhere.